If you selected your WordPress theme before installing Managed WordPress, you'll need to find that theme again. The steps below are slightly complicated, and we're working on making it simpler soon. 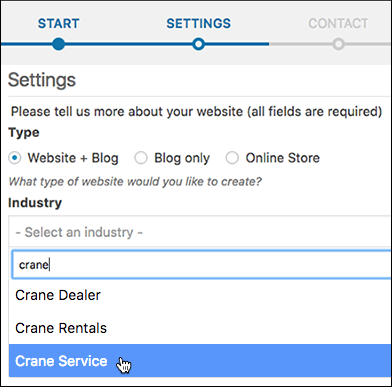 Note: The steps below will be easier if you remember the theme name and industry type for the WordPress theme you picked — in this example Scribbles (theme) Crane Service (industry). 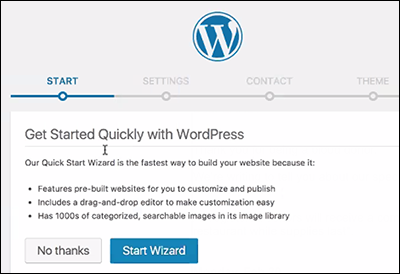 Open WordPress by clicking the Managed WordPress link in your Order Details window, or clicking Get Started in your order confirmation email. If you aren't already, log in to your GoDaddy account. Answer the setup questions that appear as you click through several screens. 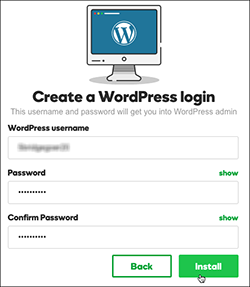 Create a WordPress username and password (or enter both if you did that earlier ) and click Install. 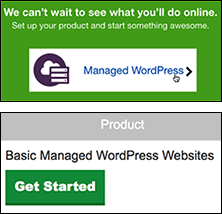 When the WordPress successfully installed message appears, click Get Started. In the Settings section, set the Type to Website + Blog. 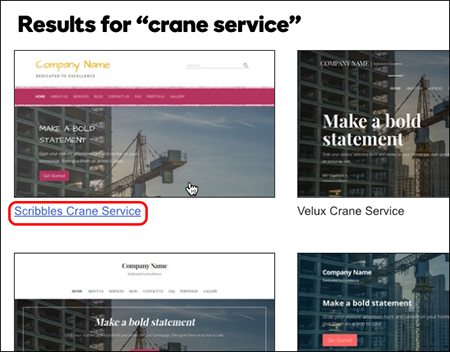 In the Industry field enter the first few letters of the category you originally picked for your WordPress theme and click that choice in the menu. Add a Tagline and click Continue. Enter your Contact information and click Continue. The Choose a Theme window will not display images for your particular category, so click the theme name you chose before installing WordPress (Scribbles in this example). Note: If you don't remember your theme's name, you might recognize it by looking through the layouts in Choose a Theme. 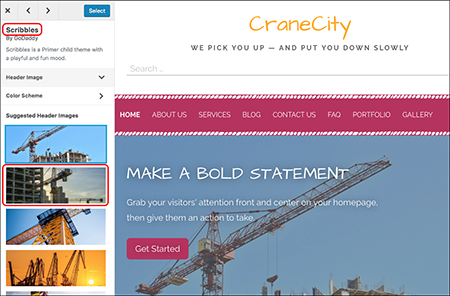 Once the WordPress site opens, the theme now will display images for the industry category you originally chose. But you may need to scroll through the left image column to find the exact one you originally chose. If you don't see it there, click Load more images at the bottom of the column. Note: The theme's name appears in the upper right. You can use the arrows just above it to pick another theme if you like. Once you're satisfied with your selections, click Select in the top left, and then click Get Started. lost my css.style sheet for "primer wordpress theme"